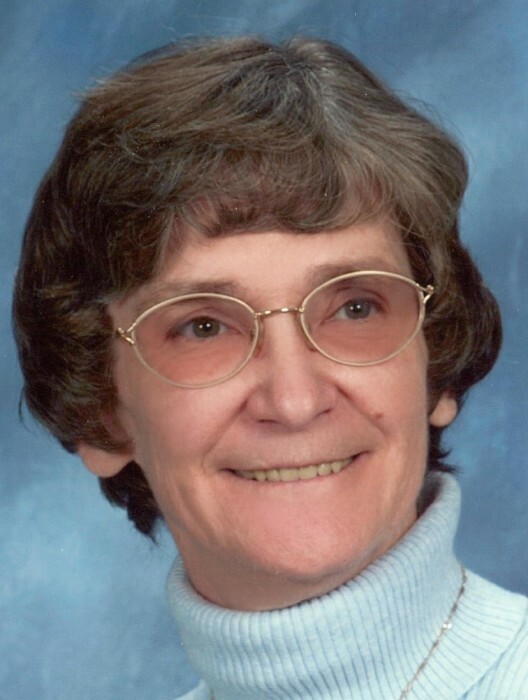 Peggy Wardius, age 72, resident of Tolna, ND passed away Saturday, March 23, 2019 at her home with her daughters by her side. Peggy Sue Ward was born December 27, 1946 in Devils Lake, ND, the daughter of Welly and Gen (Christofferson) Ward. She graduated from Tolna High School in 1964 and from UND in December 1971 with a Bachelor’s Degree in Medical Technology. Peggy had 3 daughters Melissa, Krysta, and Becca from her first marriage. Peggy began her medical career in Cheyenne, WY. She worked in hospitals as a lab technician including United Hospital in Grand Forks and Hillcrest Hospital in Norman, OK where she became the laboratory manager for years. Peggy married the love of her life, Jerry Wardius on February 21, 1987 in Norman, OK. After Jerry retired from the National Severe Storms Lab, they moved to Humboldt, KS where Peggy continued her career as the lab manager of the local hospital. The couple enjoyed their grandchildren, antiquing together, traveling, bowling, and trying their luck at various casinos around the Midwest. After Jerry passed away in 2003, Peggy moved back to her childhood home in Tolna with her mom, Gen. She continued to enjoy many of her same hobbies as well as painting and bingoing with her mom and friends. Peggy was active in the Friends & Neighbors Club and Café, the Tolna American Lutheran Church, and was a lifetime member of Tolna American Legion Auxiliary, Unit 162. She was also an avid supporter of her local community. Throughout her life she was an animal lover and was especially close to her “fur boys” Comet the Bichon Frise dog and Chewy her super-sized farm cat. Peggy is survived by her daughters Melissa (Tim) Gillett, Krysta (Ron) Hopson, and Becca (Jeremy) Weber, brothers Lynn (Joanne) Ward and Dean Ward, grandchildren Kirstie (Joey) Syverson, Skye (Kyle) Spears, Shelby Gillett, Sierra and Canyon Hopson, Dylan and Riley Weber, and great grandson Oliver Syverson. Peggy was preceded in death by her parents Gen and Welly, and husband Jerry. Memorial services will be Friday, March 29, 2019 at 2:00 p.m. at American Lutheran Church, Tolna, ND. Visitation will be held for an hour prior to services in the church. Honors will be provided by Tolna American Legion Auxiliary, Unit 162. Interment will be in spring at Tolna Cemetery. In lieu of flowers memorials are preferred to Tolna Cemetery, American Lutheran Church, Tolna American Legion Auxiliary, and local animal shelters or the Humane Society.